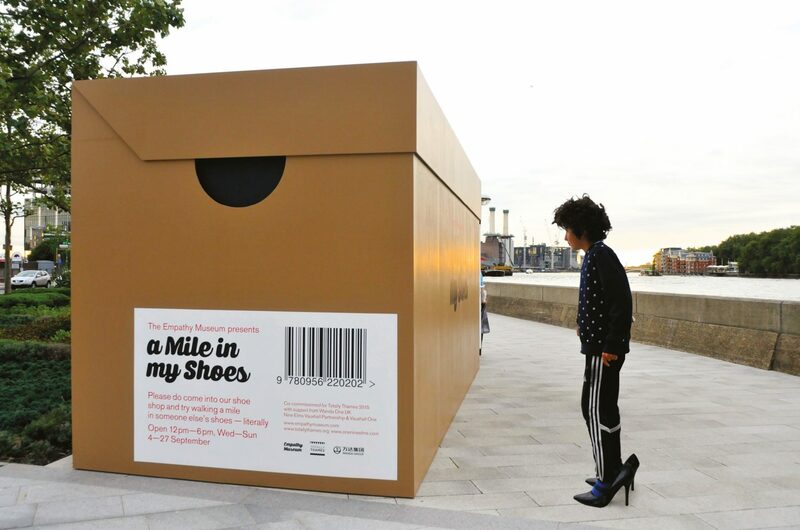 National Theatre of Scotland and Empathy Museum (UK) present the international hit A Mile in My Shoes in Scotland. Located at sites in Forres and Elgin and housed in a giant shoebox, this exhibit holds a diverse collection of shoes and audio stories that explore our shared humanity. Visitors are invited to walk a mile in the shoes of a local young person while listening to their story. Each story lasts approx. 10 mins. Futureproof is supported by the Year of Young People Event Fund, managed by EventScotland, part of VisitScotland’s Events Directorate. Selected stories BSL Interpreted and Captioned. Breakout space available at Forres location. Breakout space available at public benches at Elgin location.